Dictationstore.com is your headquarters for professional dictation equipment and software that allows you to complete documents, emails and letters with greater speed and accuracy. You’ll experience greater productivity, enhanced documentation quality and increased profitability. 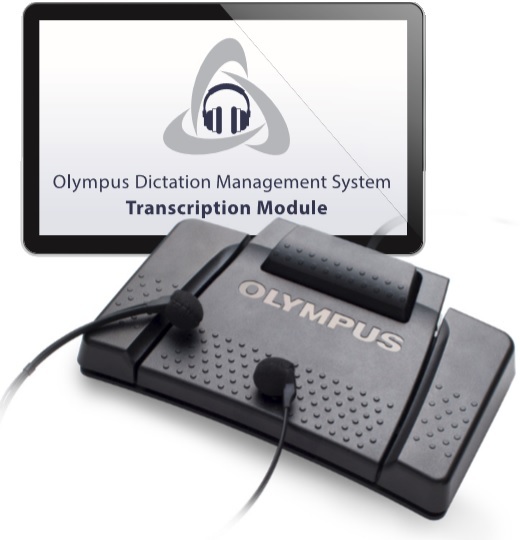 Choose from a wide variety of innovative dictation machines, software and accessories from leading manufacturers such as Philips and Olympus backed by our more than 45 years of dictation equipment expertise. Our extensive selection of digital dictation equipment provides a significant upgrade over old-fashioned analog technologies. 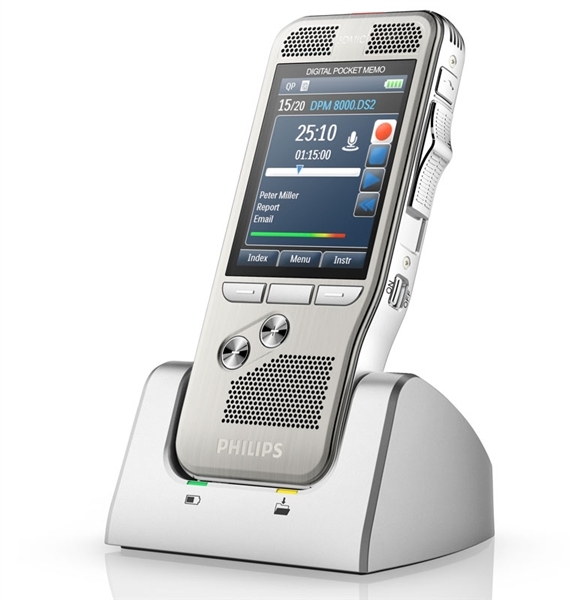 Our digital dictation machine offerings include the Philips Professional Pocket Memo 8000, a revolutionary digital dictation recorder equipped with an advanced 3D Mic system for superior audio quality and intuitive motion sensor technology that knows when the device is in your hand and ready to record. You’ll also find dictation app licenses so you can send dictation from anywhere using a smartphone or other mobile device. Are you more comfortable with using analog dictation recording equipment? We offer high-quality Philips mini cassettes specifically designed for dictation purposes. These tapes provide 30 minutes of recording and include a direct drive solution that helps to prevent tape damage. Other features include a protective clip for safe tape handling and a transparent window that shows the amount of remaining recording time with just a quick glance. Philips SpeechMike Premium dictation machines will enable you to take dictation to a higher level. Highlights include a decoupled, free-floating microphone for high-precision recording and an integrated pop filter for superior dictation quality. There’s also a large speaker for premium dictation playback. The ergonomic design ensures the device will fit perfectly and feel comfortable in your hand. Other Philips Speech Mike offerings include the Wireless SpeechMike Air Microphone that offers the freedom of mobile dictation via cordless connectivity. Get the most out of your dictation machines and software by choosing from an assortment of dictation accessories/equipment. Available accessories include docking stations for both Olympus and Philips dictation portable recorders, telephone pickups that enable you to record two sides of a telephone conversation, rechargeable battery packs and replacement batteries, as well as USB download and charging cables. Why Choose dictationstore.com as Your Dictation Equipment Supplier? In addition to our decades of experience, the dictationstore.com team includes a full technical staff that’s trained and certified on the various products we sell. We also offer free configuration and training on any of the “professional line” products in our inventory (look for the word “professional” in the product name), as well as 1-2 years warranty coverage. What’s more, we will match any price offered by our competitors, ensuring you’ll always pay the lowest price for digital dictation software, recorders and accessories. We also include free shipping for eligible orders over $50 to help you keep your dictation costs as low as possible. Take a few minutes to browse our large inventory of dictation recording equipment and software and place your order safely and securely via our convenient online shopping cart.